An unusual layout to the reels, a massive 100 paylines running across them, and some beautifully designed images of the African jungle and its wildlife make Diamond Chief a pokie that should attract the attention of anyone looking for something a bit different. It’s been developed by Ainsworth, who are one of Australia’s biggest gaming companies, with years of experience in bringing out pokies that offer exciting features, and this one comes with a free spins round where there’s extra wilds on the reels and where it’s possible to win some big multipliers. Players will be able to activate between 1 to all 100 lines, although clearly they will be waiting on average 100x longer to land a winning combination if just a single line is used, so most will opt to have all in play which costs 1.00 per spin. There’s a nice background image of a lush jungle behind the reels and to add to the overall effect, there’s a wooden framework around them, but it’s the layout of the reels that needs to be looked at first. Running from the left side, reels 1 and 2 have their symbols arranged in 3 rows, but reels 3, 4 and 5 have them in 4 rows. The effect of this is to make it very easy to line up matching symbols across a line on the first 2 reels, but slightly more difficult to get an actual winning combination by having a third symbol on reel 3, or to win bigger prizes by getting lines of 4 or 5. But this is only comparative, as players will find it’s still quite easy to get wins, although perhaps these will often be on the smaller side, as the casino isn’t going to give away money for nothing. The value of the win also depends on which symbols make up the line, and like most Ainsworth pokies, it’s the job of the playing card 9, 10, J, Q, K and A to bring in the smaller wins. The 9, 10, J and Q will pay out 2x, 10x and 100x the amount wagered on each line when 3, 4 or 5 land across one, with the only difference in the value of K and A lines being that 4 on a row is worth 50x. Realistic images of the jungle fauna are worth more, with a hummingbird, hippo, gorilla and elephant topped in value by a waterfall that pays 50x, 100x or 750x the line bet when 3, 4 or 5 appear. That’s the standard run of play, but there’s a couple of bonus symbols added to the reels that will trigger extra wins or features, with the game logo being a wild. 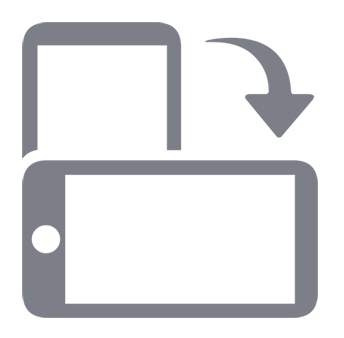 This logo is set against a traditional African tribal shield and will be able to act as all other base symbols which helps to complete winning lines. Although it will only appear on the middle 3 reels, it can be stacked 3 or 4 high which makes its job much easier and can lead to several lines being created in a single spin. The diamond is a scatter symbol and players who see this shiny icon appear in any 3 positions will be rewarded with 1x their total stake, while 4 or 5 of them will pay out 5x or 50x respectively. The scatter will also start the main bonus feature of Diamond Chief, taking players to a free spins game where the chances of winning are given a big boost. An extra shield wild symbol will be added to the reels during the 10 free games that are initially awarded, and when this appears, any wins made by wild substitutions in the next 3 spins will be multiplied by 2x or 3x. It’s even possible to have more than 1 shield on the reels, with multiplying multipliers being worth a potential 27x the base value. Landing 2 diamonds on reels 1 and 2 will add an extra 5 spins on to the end of any still left to play. It’s worth pointing out that although players can get even more frequent winning lines in the bonus games, the value of the symbols is reduced, so overall, it’s perhaps not all as good as it first seems. It’s a bit of a jungle out there, as Ainsworth have produced a good looking pokie which seems to reward players with lots of winning spins. But those rewards might not be as big as they hoped for and having symbols worth even less in the free spins game seems a bit cheeky. 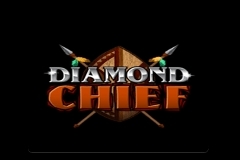 But anyone who likes the theme and doesn’t like waiting around to collect a win should still give Diamond Chief a go.